Russian cybersecurity firm Kaspersky has had a rough season stateside amid claims the company’s software scans for and steals documents of interest to the Kremlin. With the use of its products at US government agencies now banned, the company has elected to shut down its D.C. area headquarters in Arlington, Virginia. 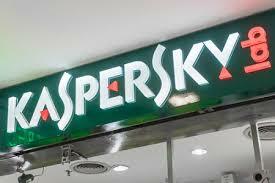 The D.C. office specialized in developing Kaspersky’s relationship with the U.S. government and supplying its software for federal contracts. The company has lost a lot of federal business this year. However, while its government business seems to be dead in the water, the company intends to continue the rest of its non-governmental U.S. operations normally and will be opening offices in Chicago and Los Angeles next year. In September, the Department of Homeland Security issued a ban on Kaspersky products, coupled with a statement expressing its concerns regarding “the ties between certain Kaspersky officials and Russian intelligence and other government agencies, and requirements under Russian law that allow Russian intelligence agencies to request or compel assistance from Kaspersky and to intercept communications transiting Russian networks.” The concern grew as part of an overall security reassessment tied to accusations of Russian meddling in the 2016 elections. The Wall Street Journal reported one incident of particular interest in which its signature security suite allegedly identified files on a National Security Agency contractor’s computer, allowing Russian operatives to target the device for an attack. Plenty of drama ensued, including a revelation that the Israeli government itself had compromised Kaspersky’s antivirus software and found evidence that the software maker was spying on its U.S. clients, a claim that the company openly disputed. In the months following the initial public crackdown on its products, Kaspersky founder Eugene Kaspersky has fiercely defended his company from the allegations, dismissing them as “completely unfounded,” demanding that the U.S. government provide detailed proof of its damning claims and pledging to open its code for review.